Creating a new project in the Semalt account allows to analyze website dynamics quickly and efficiently. Log in the Semalt account and click Add new project. Once you fill in these fields click Next. Confirm or cancel the keywords offered for the site you analyze. This keywords list is based on the user search activity data. The analysis conducted applying the offered keywords list opens up new opportunities and helps to highlight key points for future work. Once you are done with Suggested words selection click Next. 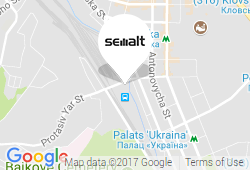 Semalt recommends conducting site analysis according to the offered keywords list. Select one or some Google search engines provided for domain zones typical for each country and that perform search in local languages. Once you are done with Search engine selection click Next. Semalt recommends using several search engines for the website analysis. You are allowed to choose up to 5 search engines. You have successfully added a new project to the Semalt account. The new project will be displayed in the section Rankings. Left-click it in the Rankings Dashboard menu to see more details about this project.